Is the style of the kitchen in your Hardeeville, South Carolina, home drab and outdated? Are damaged countertops, poor lighting, and malfunctioning appliances making preparing a meal a drag? Do you often wish you had more space to store all of your cooking gadgets? If you answered “yes” to any of these questions, then a kitchen remodel may dramatically enhance your home life. But, don’t settle for cookie-cutter remodeling services. Instead, turn to Porch Outfitters. 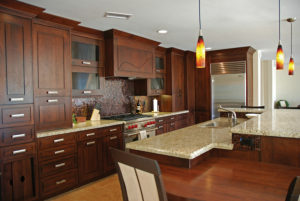 We’ll work hard to transform your kitchen into the space you’ve always dreamed of having in your home. At Porch Outfitters, we take great care to ensure all installations are performed to the utmost standards of quality craftsmanship. All projects are handled by our own team of experienced technicians – not subcontractors. And, we back their work with a lifetime warranty. Contact Porch Outfitters today to learn more about why you should choose us to complete the kitchen remodel in your Hardeeville, SC, home.